Can a Television Show Inspire Social Change? The world is more tolerant and less violent than at any other point in human history, but you wouldn’t know it from watching most mainstream media. Despite incredible advancements and a world of unprecedented innovation and interconnectedness, the news still focuses on the problems we face and rarely on the progress we’re making. People, with all their depth and complexity, are reduced to snapshots and sound bites and we rarely see their common humanity or hear of their resilience or achievements. This approach does little to help us understand their personal experiences with a problem or to relate to them in any way, which restricts our ability to empathize and creates an Us vs. Them dichotomy. 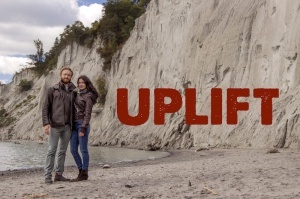 We want to change that with our TV travel series, UPLIFT, in which we visit different countries to meet people affected by social and environmental challenges and the entrepreneurs and innovators working on solutions. The idea is clearly resonating, with our Kickstarter campaign surpassing its first funding target in less than two weeks of a four-week campaign. Through our work and travels in conflict zones we’ve seen people step up to enormous challenges with innovation, creativity and tenacity. 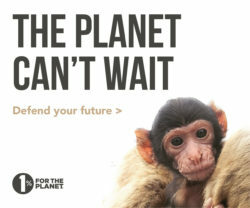 There are thousands of people undertaking projects big and small that are having a positive impact by putting people and the planet first. Empathy and innovation are key to addressing the problems we face. Isn’t it time we heard more from those making the world a better place? Social innovators see opportunities where others see problems. For example, Mohammed Rezwan was tired of seeing Bangladesh’s worsening floods devastating people’s lives. So he created a fleet of solar-powered floating schools, libraries, farms, training centres and health clinics, turning floods into pathways to education. Each episode of UPLIFT is shot on location in one country and focuses on a specific issue such as human trafficking, war and reconciliation, the criminal justice system, education and health, or an environmental crisis. We’ll visit communities and meet people from different socioeconomic and ethnic backgrounds, and we’ll ask them to recount their firsthand experiences with the issue. Our goal is to understand the problem or conflict from multiple perspectives, respecting the fact that as outsiders we cannot know all the intricacies. We’ll then spend time with a person or group implementing innovative ideas to address the issue. We’ll look at what drives them, their tactics, the obstacles they face, and their impact. UPLIFT recently welcomed TV director and Canadian Screen Award-winner Jim Morrison IV to our team as Development Producer. Jim will bring his considerable experience to the table to help us develop the concept, package the best possible sizzle reel, and pitch to producers and broadcasters. With two weeks left to go in our campaign, we’re aiming for our Kickstarter stretch goal that will allow us to shoot the pilot episode, which we can distribute for free online, to community groups and schools. We mean to change the discourse and to televise the social innovation revolution with a show that bears witness to the ingenuity and triumphs of the human spirit and that elevates our collective consciousness. If UPLIFT resonates with you, consider backing our project and check out our Kickstarter campaign for more about the show and our team. With your support, we can make a difference. Barnabe Geis is the Communications Architect at the Centre for Social Innovation and has a journalism and social entrepreneurship background. He’s worked and travelled throughout Latin America, the Middle East, and parts of Europe, Asia, and Africa. Nisha Toomey holds a Master’s in Education and has a background in activism, acting and working with at-risk youth. She worked with refugees and migrants as a teacher and project manager on the Thai-Burma border for nearly five years.